Stamford is the fourth largest city in Connecticut, a center of regional activity in Fairfield, and a hub of the Metro New York area. Here the blend of city, coast and country come together for an authentic New England experience that is rich with early American and maritime history, exceptional waterfronts and vibrant culture. Stamford is an extremely ethnically-diverse city. The people who call Stamford home describe themselves as belonging to a variety of racial and ethnic groups. Located just 40 miles from Manhattan, Stamford plays an active role the NYC metro and Fairfield county art and music scene. 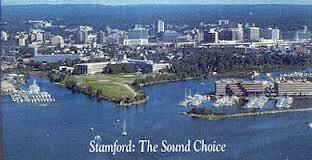 Its position between NYC and the rest of Connecticut defines Stamford’s character. Stamford takes on an atmosphere of New York City in its downtown and the adjacent neighborhoods, then transitioning to a more traditional suburban small town CT atmosphere in its northern sections. 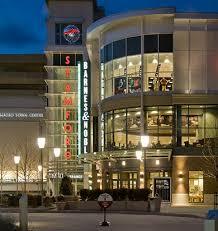 It also has one of the largest and most diverse selections of restaurants and shopping in Fairfield County. Stamford comprises a number of neighborhoods and villages including Cove, Downtown, North Stamford, Glenbrook, Turn Of River, Waterside, Springdale, Belltown, Newfield, Mid Ridges, Westover, Shippan, and Roxbury. Surrounding towns include Bedford, New York and Greenwich to the south and both Dairen and New Canaan to the north. Stamford is also nautical, which means that parts of it are somewhat historic and touch the ocean or tidal bodies of water, such as inlets and bays. Such areas are often places that visitors and locals go for waterfront activities or taking in the scenery. Stamford is home to four Fortune 500 Companies, nine Fortune 1000 Companies, and 13 Courant 100 Companies, as well as numerous divisions of large corporations. This gives Stamford the largest financial district in New York Metro outside New York City itself and one of the largest concentrations of corporations in the nation. The Stamford public school district comprises 16,000 students, 1,500 professionals, and 20 schools, including six magnet and two International Baccalaureate schools. The public schools have a total of 12 elementary schools, five middle schools and three high schools. The Stamford public schools are proud that their district is as rich in diversity as it is in talent. They have students from many cultural backgrounds and geographic locations as demonstrated by the more than 65 different languages spoken in the homes of Stamford families. The public school district offers their students a learning experience rich in cultural diversity and reflective of the global society in which they will work and live. Six airports are located within a 90 minute drive of Fairfield County. Four of them-JFK and LaGuardia (in New York City), Newark Liberty (New Jersey) and Bradley (Hartford, CT) are international airports. Nearby regional airports include Tweed in New Haven and the Westchester County Airport in White Plains, NY is 30 minutes from Stamford. Stamford is located on the main branch of the New Haven Line on the Metro-North Railroad, the commuter rail system for northern metropolitan New York City. Several express trains leave Stamford all day for Grand Central. The average non-stop commute is forty-five minutes. Stamford also serves as a station along the Amtrak route for both the Acela & Regional service. Two highways run through the city; Interstate 95 serves as the main route through downtown Stamford and the Merritt Parkway runs through the northern part of the city. The Stamford Museum and Nature Center-This farm has cows, horses, pigs, chickens, llamas, & other animals. It also has a small museum & playground with a huge slide. Palace Theater– This 1,580 seat theater was acclaimed as “Connecticut’s Most Magnificent” when it opened in 1927. It now hosts a variety of shows in its historic building. 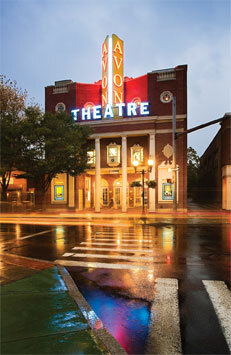 Avon- This theatre features the best of independent, world and documentary films, foreign and Hollywood classics and educational programming that enhances the cultural richness of the downtown Stamford community. Shippan Point-The farthest southern point of Stamford, Shippan Point has some of the most historic and gracious homes in the city. There are expansive views of Long Island and the Manhattan skyline. Mill River Park – This12-acre beautifully landscaped vibrant world-class downtown park and greenway has been planted with native grasses, wildflowers, shrubs and trees to restore the indigenous ecosystem of a Connecticut river bank. Antique Shopping – Stamford has a large concentration of antique centers and dealers. All your home décor needs can be met within a few blocks. In addition to the many antique cooperatives, fabric showrooms, carpet and tile houses, numerous talented artisans and restorers are based in the area. Cove Island Park, West Park and Cummings Park- These three beautiful beaches are all on the Long Island Sound and some have several paths that you can walk or rollerblade. Chelsea Piers- Chelsea Piers CT. was developed and is managed by the same management team from the acclaimed Chelsea Piers complex in NYC. Activities include soccer, gymnastics, basketball, lacrosse, summer camp, ice skating and an aquatic center.